50% Off Delicious Pasta, Curries, Fillets, Juices and Smoothies at Cafe Licious! 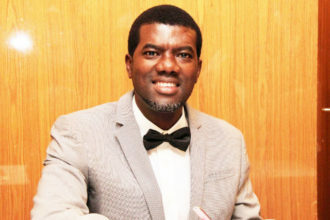 Located on Opebi Road in the bustling heart of Ikeja, Cafe Licious was created out of a passion for great food. This coupon entitles you to half off a selection of house favourites including lip smacking Spaghetti Bolognese, savoury Chicken Fillet & Special Rice or the ever tasty Chicken Curry with Rice. This coupon entitles you to half off a selection of house favourites including lip smacking Spaghetti Bolognese, savoury Chicken Fillet & Special Rice or the ever tasty Chicken Curry with Rice. All of these come with your choice of Freshly Squeezed Juice or a Smoothie. 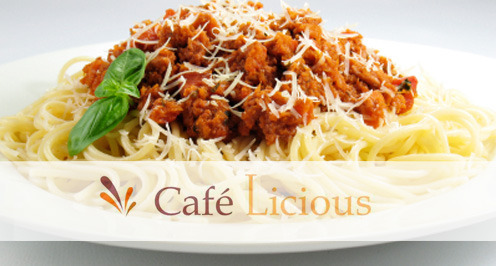 Originally valued at N2,800, Cafe Licious is discounting these for DealDey members to only N1,400!!! Limited to 10 Coupons per Person..